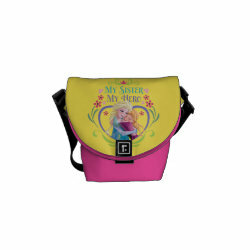 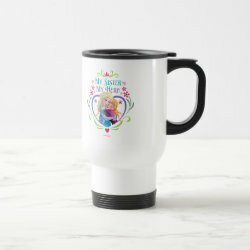 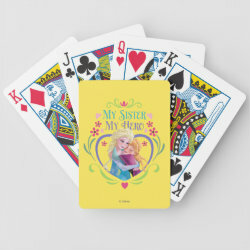 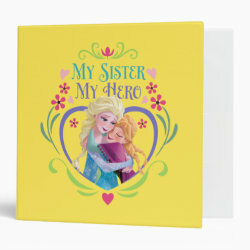 This is a heartwarming design for anyone that loves the story of Frozen and the family love shared by sisters Anna and Elsa. 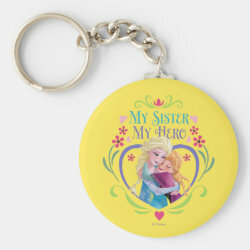 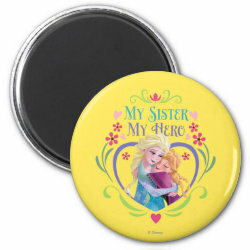 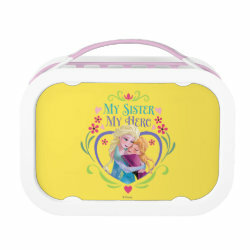 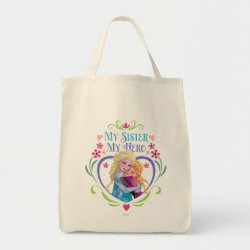 The design More... has the sisters in an embrace surrounded by a heart with Nordic-style floral motifs. 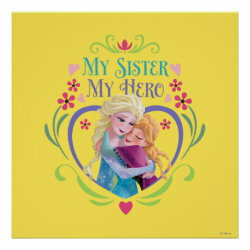 The sisters hug under the slogan My Sister My Hero. 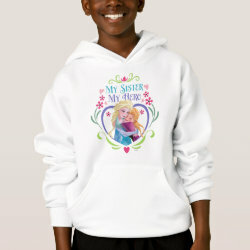 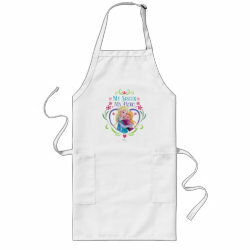 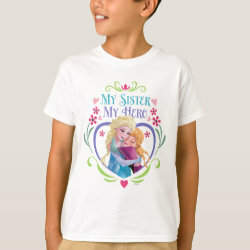 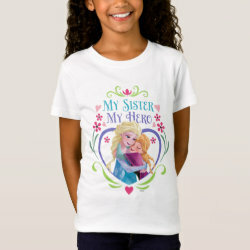 The design is featured on a white background for apparel, totes, and other items. 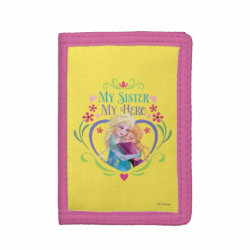 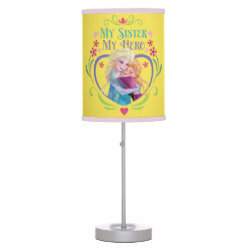 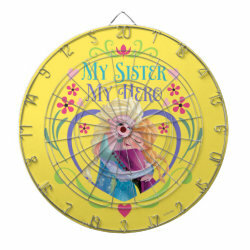 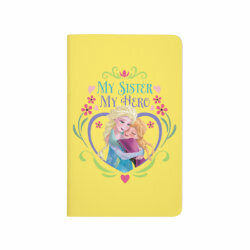 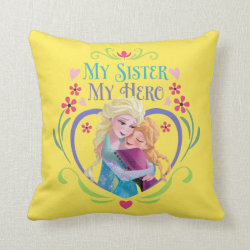 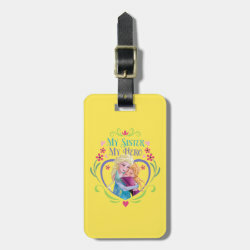 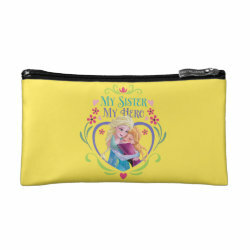 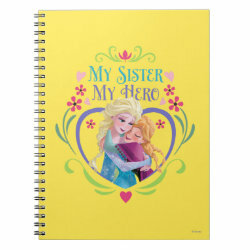 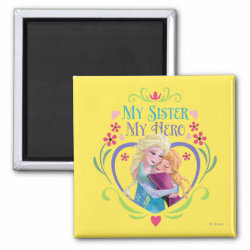 Paper products and other novelty gifts have the design pop against a bright yellow background. 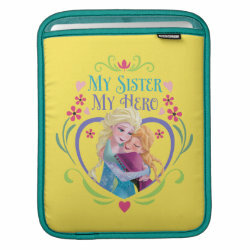 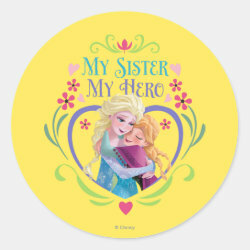 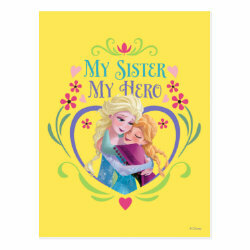 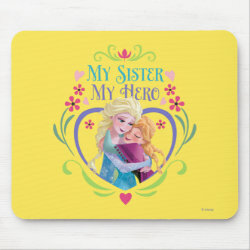 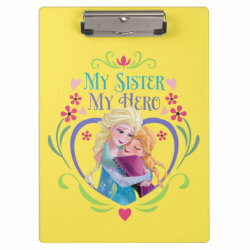 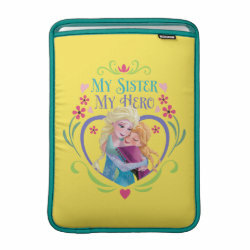 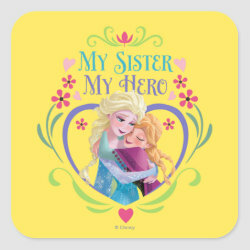 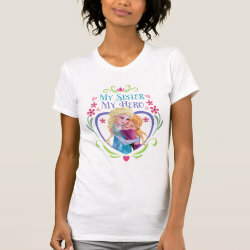 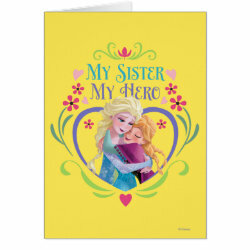 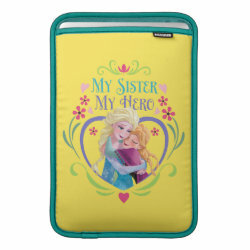 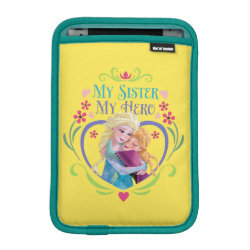 My Sister My Hero Fleece Blanket, 50"x60"